Why are Dungeness Crab Fishing Injuries Underreported? Home » Why are Dungeness Crab Fishing Injuries Underreported? In a previous blog, we talked about a new study that found that Dungeness crab fishing injuries often go unreported. Now, public health expert Laurel Kincl conducted in-depth fishermen interviews and surveys that show possible causes of why the number of injuries to Dungeness crab fishermen are underreported. From 2002 to 2012, there were only 45 Dungeness crab fishing injuries reported to the United States Coast Guard and 28 deaths on the West Coast. The most commonly reported injuries included shoulder fractures, arm breaks and hypothermia. However, Kincl found injuries that cause back pain or sprains are considered the wear and tear that comes with the job. There are also instances where fishermen who are washed overboard but rescued with minor injuries are usually unreported because it’s part of the job. Kincl also found these commercial fishermen were guarded and did not want to paint the industry in a negative light for fear of stricter regulations and shorter seasons. She goes on to say if the fishermen don’t need immediate medical assistance, they usually don’t feel a need to report anything. Instead, they’ll swallow some over-the-counter pain pills and go about their day. There’s also what one fisherman described as the “cowboy element” of the industry that may contribute to the amount of unreported injuries. There’s the chance to “strike it rich,” as well as the love of the sea and the “thrill of the hunt.” The fisherman went on to describe Dungeness crab fishing as a job that give the fishermen “the same adrenaline rush as when you’re deer or elk hunting.” This type of thrill that comes with the job may not necessarily encourage injury reporting. However, this researcher believes the crab fishing industry is making improvements on safety. Fishermen have better safety equipment, and more awareness is being spread on how to avoid certain risks and hazards while on the job. Safety requirements are also much stricter as the industry came into the spotlight in recent years. Hopefully, the Dungeness crab fishing industry continues to educate, train and prepare fishermen for conditions out at sea, as well as encouraging injury reporting. 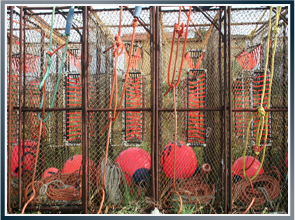 Latti & Anderson LLP is a maritime injury law firm that fights for injured Dungeness crab fishermen. Next Is South Florida the Deadliest Area in the State for Boaters?